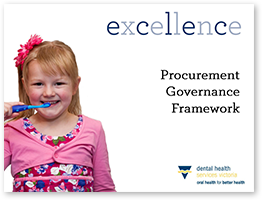 This framework sets out DHSV's compliance methodology in relation to its obligations to establish a transparent, efficient, effective and accountable procurement process. 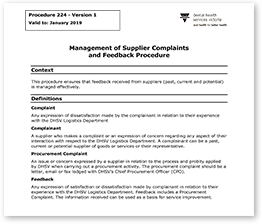 This procedure ensures that feedback received from suppliers (past, current and potential) is managed effectively. 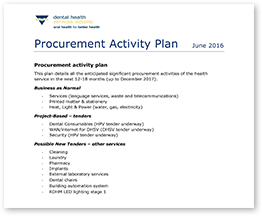 This plan details all the anticipated significant procurement activities of the health service in the next 12-18 months (up to December 2017).